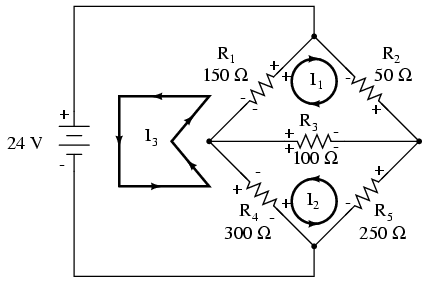 We take a second look at the “mesh current method” with all the currents runing counterclockwise (ccw). 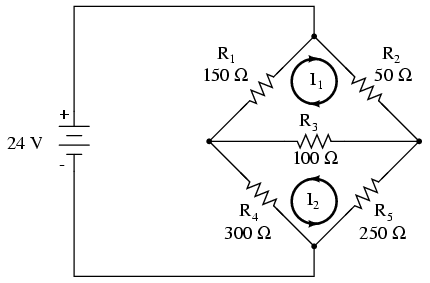 The motivation is to simplify the writing of mesh equations by ignoring the resistor voltage drop polarity. 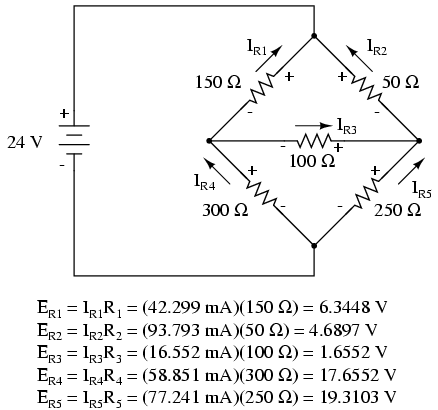 Though, we must pay attention to the polarity of voltage sources with respect to assumed current direction. 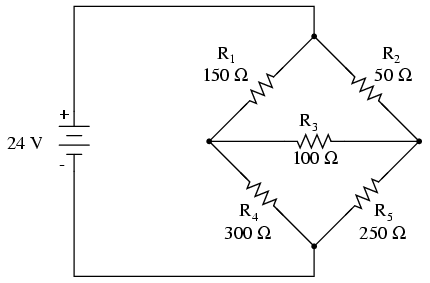 The sign of the resistor voltage drops will follow a fixed pattern. 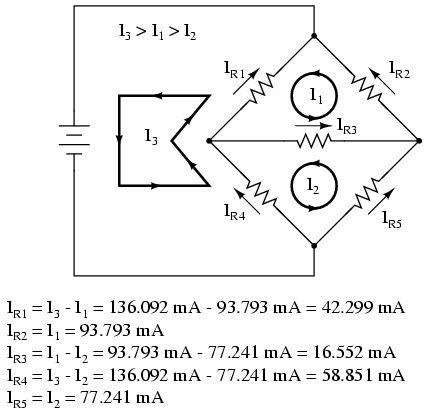 Write voltage-law equations in terms of unknown currents currents: I1, I2, and I3. 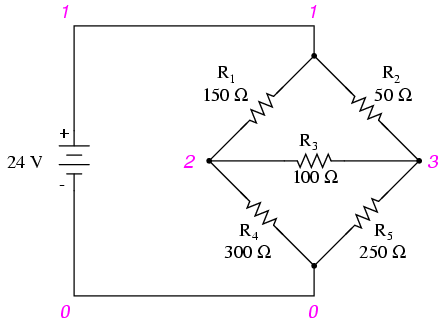 Equaton 1 coefficient 1, equation 2, coefficient 2, and equation 3 coefficient 3 are the positive sums of resistors around the respective loops. All other coefficients are negative, representative of the resistance common to a pair of loops. 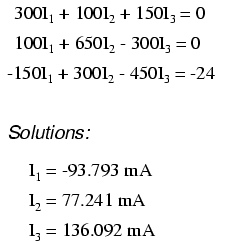 Equation 1 coefficent 2 is the resistor common to loops 1 and 2, coefficient 3 the resistor common to loops 1 an 3. 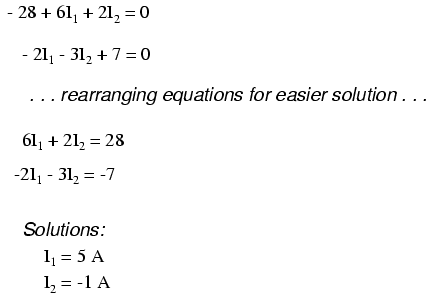 Repeat for other equations and coefficients.